A Short Guide On When To Pick Spaghetti Squash? 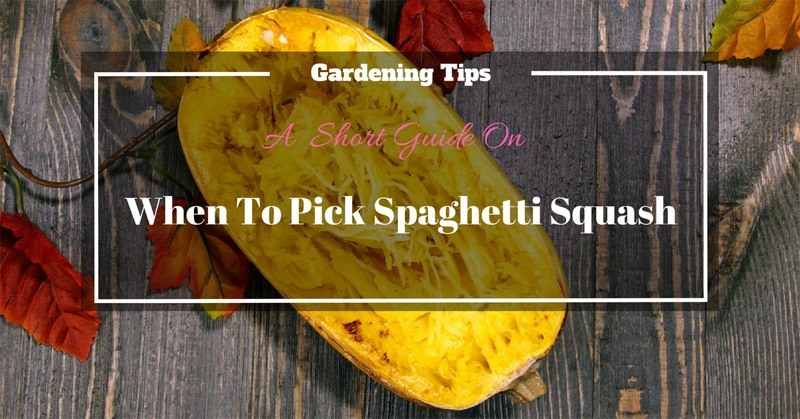 >> A Short Guide On When To Pick Spaghetti Squash? When To Pick Spaghetti Squash? Winter or summer squashes – what’s the difference? Originating from Central America and Mexico, spaghetti squash represents a big group within Cucurbita, which is a cucumber family. In Mexico, spaghetti squash was planted as companion crops to fill the space between the fields of corn. The spaghetti squash is winter squash plant, so the goal of this article is to give you an additional info you should know before harvesting it. The plant itself has the long and broad leaves, and you will notice that 4 to 6 stems are growing from the central root. The winter squash, which can be sprawling or bush-like, can provide the fruit that can be long for up to 10 inches. The variety also comes with the fruits that can have round, cylindrical, turban or oblong shape. We can say that the downside of growing the spaghetti squash is that you won’t get plenty of fruits from one plant (like you would from tomato, carrots, potato, etc. ), and the amount would be limited to 4 or 5 fruits. But what makes the spaghetti squash so favored? The answer is simple – it is easy to grow and provides powerful nutrients. The spaghetti squashes have very high amount of water, but they contain lower levels of minerals and vitamins. On the other side, they provide carotenoids which are providing additional care in decreasing the risk of lung cancer. Finally, low calories make this plant an excellent substitute for spaghetti or any other kind of pasta. At this point, we have to make it clear – you will probably hear or read that there is winter and summer spaghetti squash, so this might confuse you. The names “winter” or “summer” squash are related to the use, not on actuality. In other words, summer squashes will be in the groceries throughout winter, and on the other side – winter squashes will be on the market during late summer, autumn and even winter. The summer squashes have tender, soft skin, and the moisture flesh inside. You can easily eat it fresh, raw or you can cook it, but due to its gentle nature, it will not last long in the refrigerator – maybe a day or two. The winter squash comes in many shapes and colors, and the skin of winter squash is rigid, and the flesh inside is firm, which means that you can prepare it for the storing during winter. Because it has solid texture, you will find that the best use for winter squash is baking and stuffing. Finally, the examples for winter squash are an acorn, pumpkin, spaghetti, and butternut; and for the summer squashes – crookneck, cousa, pattypan, green and yellow zucchini. If you enjoy gardening, then you will find that growing winter squash is anything else but hard. This kind of squashes are the most nutritious one, and the amounts of nutrients are safely preserved inside with thanks to its long life during storage. But, if you decide to plant winter squash, you should plant it as soon the spring frost is over, and here you can read how to determine the last frost date. All you have to do is to plant the seeds into the ground, and don’t worry – it won’t start to grow until the ground warms up. The best way to grow winter squash is to plant seeds in the hills, and as soon as it grows 2 inches in height, reduce the number to 3 plants per hill. Also, make sure that the distance between plants is three feet because squashes are vining plants and you don’t want to overcrowd them. 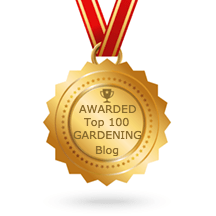 Finally - remember, the soil for planting must be well-drained. For sowing the summer squash, it is the best for you to wait a bit warmer weather, meaning that early spring is the time of the year to plant the seeds. When you start to sow the plants, you should put 2 to 3 seeds in the ground, and take notice that the area should be 24 to 36 inches apart from each other; or, put 4 to 5 seeds in the hills that are 48 inches apart. For the best result, the seeds must be 1 inch in the ground. Also, take notice – when tendrils take hold in the soil, don’t pull them; and, when you see flowers or fruits appearing, be careful and do not harm them because if they fall off the plant will be disrupted and you won’t get any yields. When you plant the spaghetti squash, it will take between 60 to 110 days to grow and be ready for reaping. After this time, the rinds will be firm and have full color. Mature spaghetti squash weigh around 2 pounds, it is about 10 inches long, and it has 5 inches in diameter. Next, check the color of the skin – fully grown spaghetti squash will have dark, golden yellow color instead of pale white, because – as the squash matures, the sugars are developing inside changing the fruit color. Also, the vine will change color from green to beige or cream. As the fruit ripens, its skin will become drier and stronger, and if you can’t leave a dent with your thumbnail on the plant skin, this is the sign that the squash is ready for harvest. Another good tip – spaghetti squashes have to mature on the vine, and if you can’t serrate the rind with your thumbnail, then it is ready for picking. Remember, you must ripen the squash before the first frost, and the best way to do it is that you cut the squash from the vines and leave 2 to 3 inches of stem, above the fruit. On this way, you will prolong the storage time of the squash. Remember to occasionally check the fruits and look for any sign of decay. If there are any rotten fruits, you must remove them. We hope that the info provided will be helpful for you. Enjoy your gardening adventures!